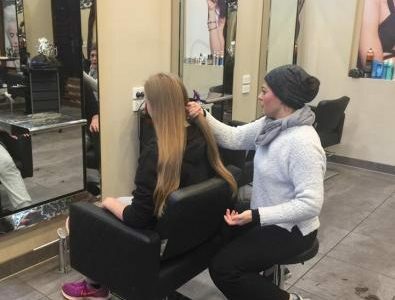 The CIKA team has broad and generous support from many in the community and not one week goes by without someone, somewhere, has a fundraiser that helps us directly to support the cancer research projects with which we are involved. In November 2016 we received an email from Nicole whose son, Nathan, is currently being treated at the R.C.H. and is now on a drug trial that is being supported by CIKA. 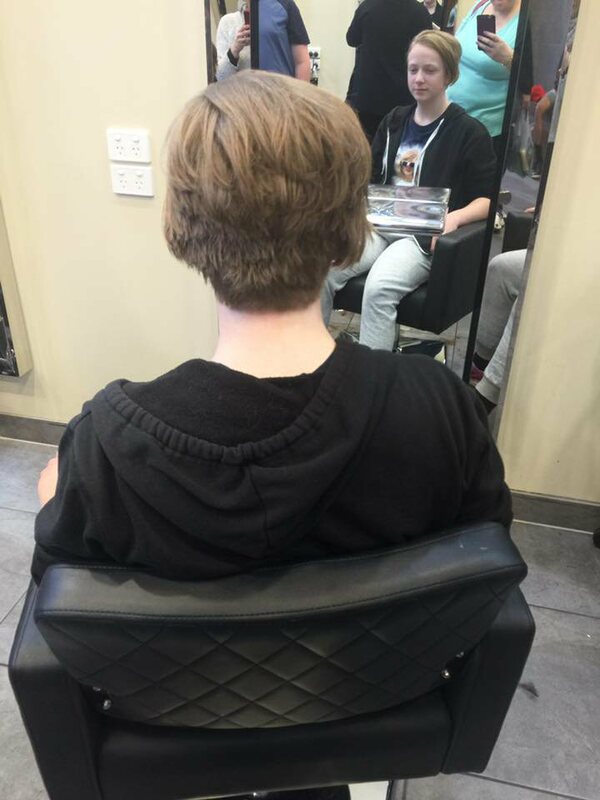 Nathan’s sister wanted to show her appreciation for the support that they have received and organized a fundraiser with the goal of raising $1000.00 and then to have her very long and beautiful hair cut short. 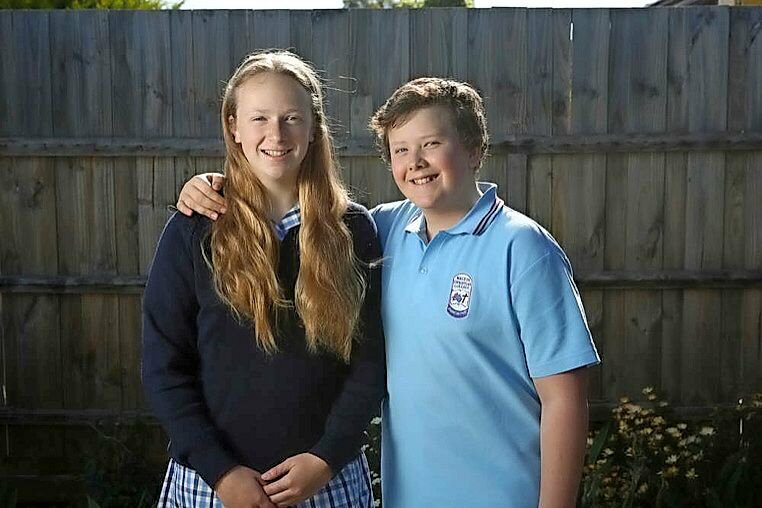 Mahala Stickland will be cutting off her hair to raise money for a charity that will benefit her brother Nathan. 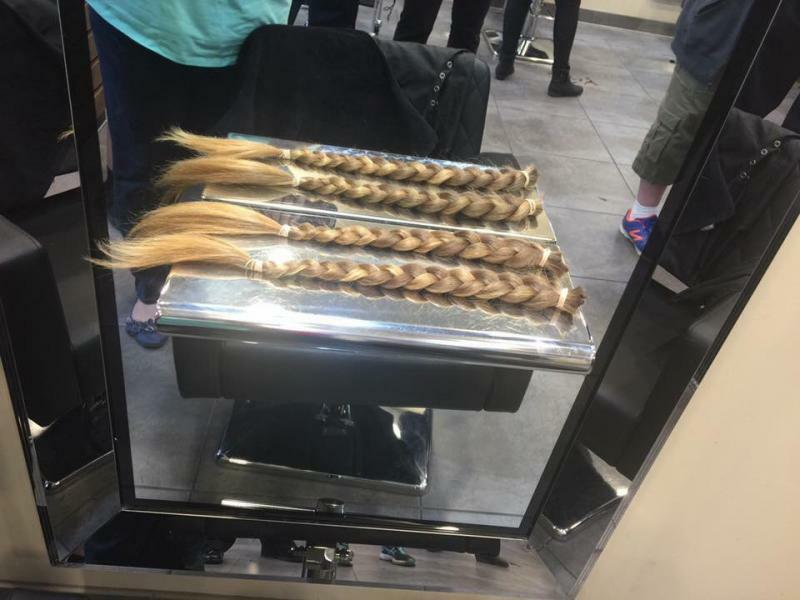 …then the plaits were tied off and removed, one by one. 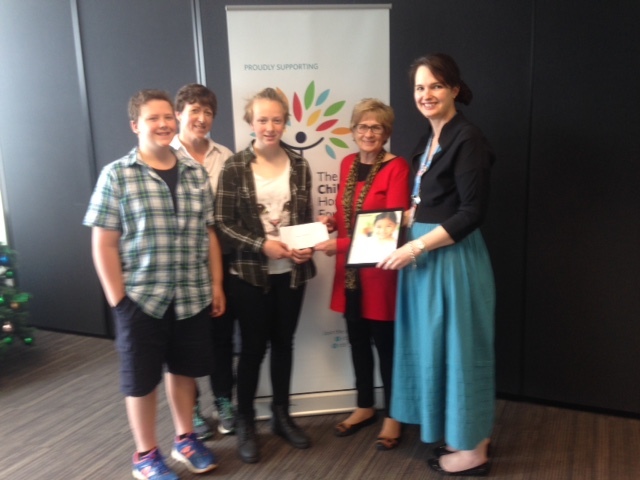 Mahala exceeded her goal with donations still coming in weeks later, and was able to hand over $2,500 to CIKA. 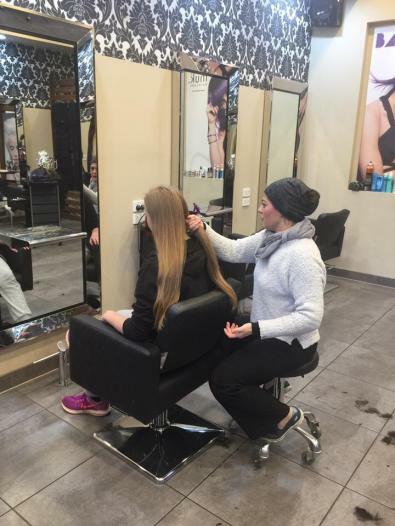 We congratulate her on her initiative and her thoughtfulness not only for selecting CIKA to be the recipient of the donations but for her generosity with her plaits that have now been used to make wigs for cancer patients. We understand that this is a challenging time for the family and we are very appreciative of their commitment to “Fund Research Find A Cure”. Mahala still looks beautiful with her new short hair. Thank you so much Mahala. 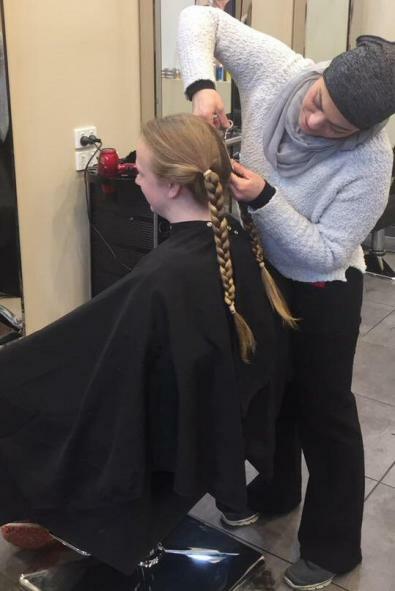 In the event, Mahala raised more than double her target of $1,000. Here she is handing over her donation to CIKA President, Sandra Lehrer while RCH Auxiliaries Manager, Michelle Rule, holds her certificate of appreciation.